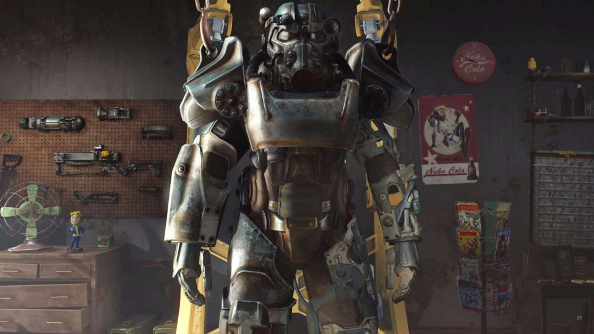 NB: This is our port review of Fallout 4, specifically analysing its performance on PC. For our full review of the game itself (spoiler: it’s real good), head to page 2. Fallout 4 has launched on PC, giving us a new version of Bethesda’s Creation Engine, a new post-apocalyptic wasteland and, for some people, a whole host of new bugs and performance issues to worry about. Traditionally, Bethesda’s open world romps have been more at home on PC than consoles – though the PC-like PS4 and Xbox One have brought things closer to parity – and after hours of traipsing across the wasteland, hunting super mutants and putting welding goggles on dogs, I can say that tradition has been upheld. Caveats are, of course, forthcoming. Having recently replayed Fallout: New Vegas, I was immediately struck by the visual improvements lavished on Fallout 4. 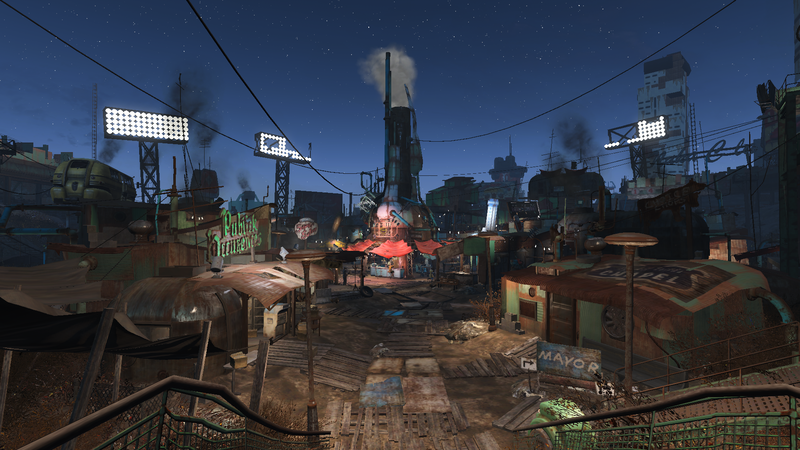 The Boston wasteland is a huge expanse of diverse terrain and settlements, brought to life with lighting both subtle and overt, and countless tiny details. New Vegas is five years old, though, and running on an engine two years older, so significant changes should be expected. Compare it to Skyrim, itself four years old, and the improvements are less massive. They are there, of course, particularly when it comes to lighting, but so are many of Skyrim’s visual failings. For every detailed texture, there’s one that looks like it should never have made it past QA, and no amount of lovely lighting or fancy weather effects – of which Fallout 4 has many, and they are a delight – can hide just how awkward the character animations look, or how hideous and alien many of the faces look. Like Skyrim, Fallout 4 is a game that’s blessed with impressive vistas and scenes that, at a glance, look impressive, but once you look closer, immediately begin to look dated. It’s good looking game from five years ago, with the benefit of a few modern tricks. Dated does not mean ugly, however, and Fallout 4 is absolutely the best the series has ever looked, not just in terms of fidelity, but art direction as well. Settlements are full of varied architecture and buildings modern and historical each oozing personality. Out in the wilderness, the atomic blue and green wasteland of DC and the sun-scorched Mojave desert seems worlds away, replaced by diverse, colourful environments rich in clutter and abundant with life. All this is achieved without compromising the overall style of the series. Post-apocalyptic Boston is undeniably Fallout. Graphics options cover most of the bases, though it’s frustrating to only be able to change most settings via the launcher rather than in-game. Along with anti-aliasing, anisotropic filtering, and the various qualities of textures, shadows, decals and lighting, you can also fiddle with several view distance sliders that deal with specific objects, like NPCs or grass. 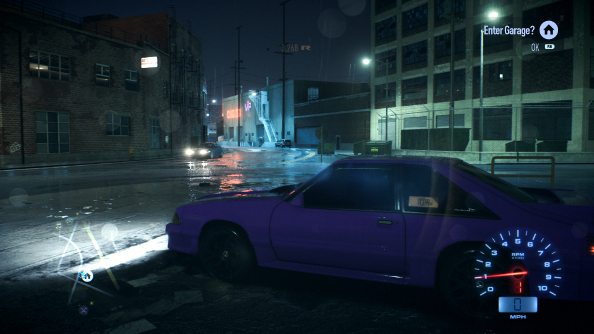 Further tweaking can be done by turning off or on rain occlusion, which keeps rain from appearing or splashing on the ground when you’re under cover; wetness, which gives you that ‘I’ve just finished swimming in an irradiated swamp’ look; screen space reflections, which adds glossy reflections to surfaces; lens flare, because sometimes you want to burn your retinas; and motion blur. Four presets have been put together, from ultra to low, and should you wish to spin the dice, you could always let the game auto detect the settings. I wouldn’t advise it, though. In my case, the game was a tad optimistic. On the other side of the spectrum, GeForce Experience was overly conservative. So expect to do a bit of tweaking before you get the performance you’re hoping for. 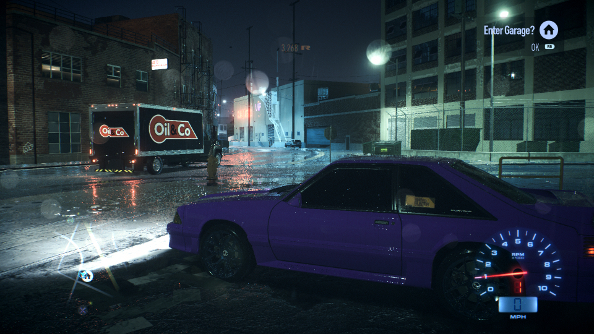 On the ultra setting, with TXAA anti-aliasing enabled, the game looks its best, and on my now slightly dated (aside from the GPU) rig, the performance cost is surprisingly minimal. Indoors, it’s rare for the frame rate to dip below 60, even when all hell breaks loose and explosions and screaming androids fill the screen. Even outdoors, things remain mostly steady, occasionally dipping to the low or mid-50s. It wasn’t until I hit the built-up area surrounding Diamond City, the game’s largest town, that I considered turning my settings down a tad. I was still able to hit 60fps, but the dips were more noticeable, occasionally reaching the mid-40s, though that’s by no means terrible. Using the high preset, performance gets a noticeable boost without a significant visual cost. The game looks mostly the same, but in areas jampacked with buildings, it manages to keep a mostly steady frame rate of 60. It’s not until using the low preset and by turning off AA that we can see a very clear downgrade, with jagged edges no longer being hidden, shadows becoming harsher, and objects in the distance losing detail or vanishing. In motion, it’s even more obvious as the shadows start to flicker and buildings pop into view. Here’s another comparison between ultra and low in first-person. For some reason, certain options have been left out of the settings menu, most notably the frame rate cap and an FOV slider. Thankfully, both of those things, along with several others, can be edited in a pair of .ini files. 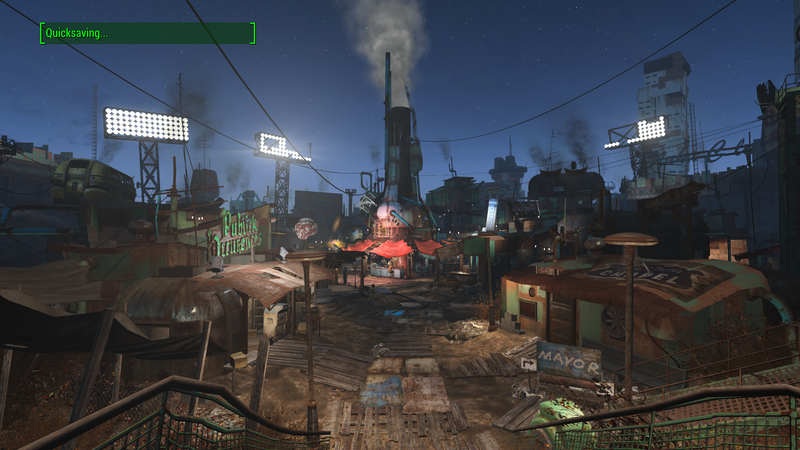 For instructions on what to edit, take a look at our Fallout 4 FOV tweak guide. You won’t, at least, have to dive into any files to change the keybindings. That can be done in-game, thankfully. Unexpectedly, given my past experience with Bethesda games, my time with Fallout 4 has been blessedly bug-free, for the most part. Sometimes NPCs get stuck or a line of dialogue gets cut out, but nothing major. Others have reported more serious issues, from CTDs to disk write errors. 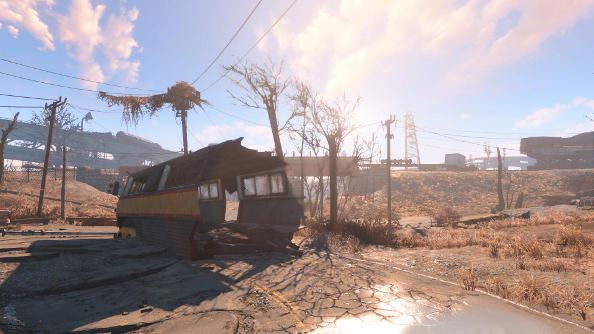 Check out our Fallout 4 crashes, bugs and fixes article if you do have any problems. Ultimately, it will be the mods that will give Fallout 4 the sort of longevity that Bethesda’s open-world adventures typically enjoy, in addition to the amazing settlements people are coming up with. In the meantime, however, Fallout 4 is already a decent PC port. There are problems, yes, and disappointments, certainly, but at its worst Fallout 4 is a functional port, and at its best, a rather good one that offers greater fidelity and performance when compared to its console counterparts. It’s the version you should get, if you have a choice, and this would be the case even without the promise of a mountain of mods. 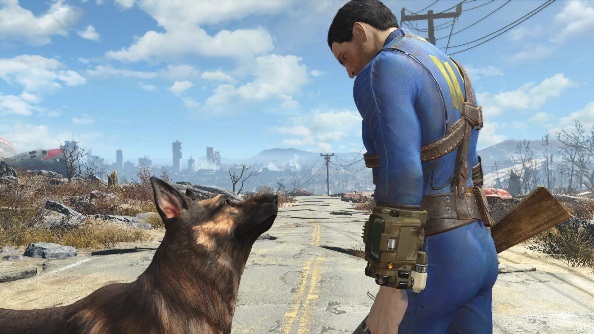 Keep reading for our full Fallout 4 review. 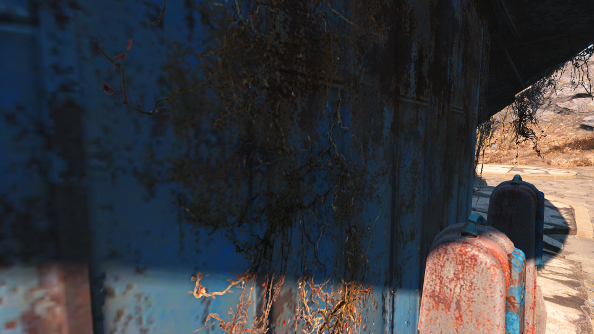 Fallout’s world is full of survivors and scavengers desperately clinging on to life. Using the remains of technologies from the past, they bolt things together to create machines that are just about improvements on what came before, and that’s considered progress. In many ways, that’s also Fallout 4. While there’s a brand new engine rumbling beneath its newly painted bodywork, the pieces that fit together to make this behemoth of a game are distinctly familiar. 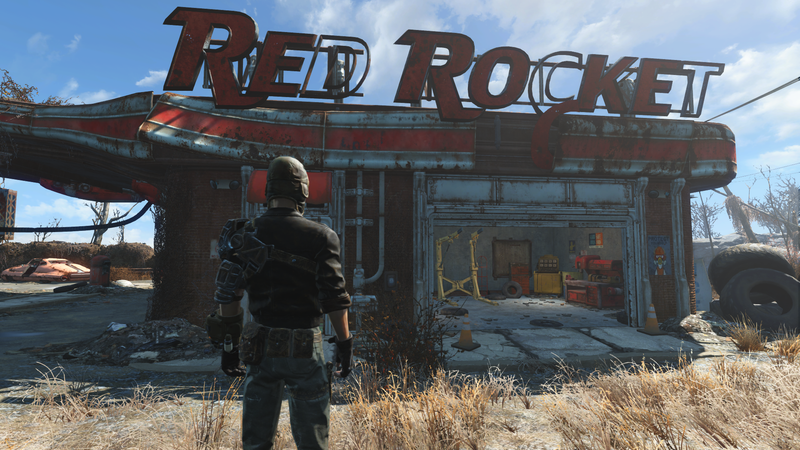 There are a few new features that stand out like shiny chromed components, but from moment to moment Fallout 4 feels very closely related to its two predecessors: vast, packed, quirky, and holding itself together with nails and duct tape. 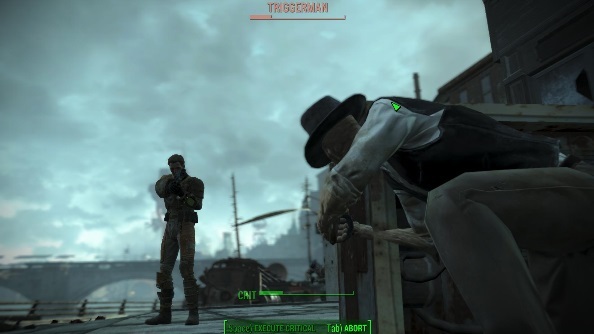 Fallout 4 transports us to Boston, 200 years after nuclear war devastates the United States. In a new move for Fallout, the prologue shows us pre-war America in its 1950s-style retro-future glory. It’s here that you’ll be introduced to your character: a husband or wife who has recently started a family, and has hopes and dreams still to live. The diverse character creator lets you craft your face in the bathroom mirror, before quickly whisking you to the underground Vault 111 because pesky nuclear war breaks out. Unlike Fallout 3, which took place in the vault for literally your entire childhood and young adult years, Fallout 4 just gets on with it. Within half an hour the giant four-foot-thick door has rolled aside and you’re out in the wastes, ready to embark on your adventure. It would be a shame to spoil here what your motivations for getting into the outside world are, but events in the vault mean you have a distinct, personal mission to pursue. Boston itself is a gorgeous, hand-crafted world that feels like an actual place as opposed to a videogame map. A lot of this comes down to its use of real landmarks. You’ll see the likes of the Paul Revere Monument, the Massachusetts State House, and the USS Constitution on your travels, which help cement the world of the Commonwealth as a genuine place. Houses and structures look unique and are laid out in a realistic fashion, which prevents the copy-and-paste look that destroys the atmosphere in so many urban-set game worlds. Beyond the city limits, creepy fields of dead tree stumps and collapsed highways stand out amongst the wreckage. It’s a far more colourful landscape than we’ve seen from Fallout before, which makes it feel both exciting to explore and visually less exhausting. Gone is that flat, green/grey hue. In are beautifully lit vistas. Weather can’t be understated when it comes to making Fallout’s world feel special: radiation storms brew and fill the skies with green forked lightning and swirling clouds of nuclear fire. The wind howls, the geiger counter goes wild. The best place to experience it is the Glowing Sea: a crater where one of the bombs hit, it’s now the eye of a perpetually raging storm. Passing through it is like a sci-fi variant of Lord of the Rings’ Mordor. It’s wonderfully terrifying. This world is made even more special by the impact you have on it. And I’m not talking about what decisions you make with its cast of characters and factions, but the actual visual changes you can make. 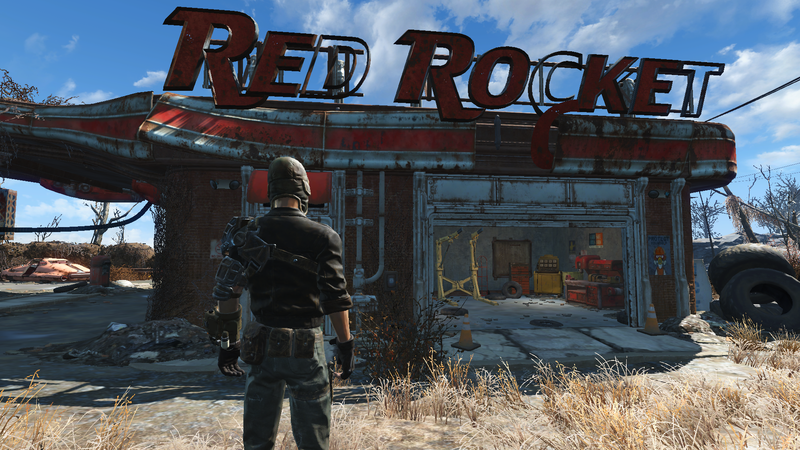 Fallout 4 is a game about rebuilding. When you help towns and outposts out, you gain access to their workbench. From here you are granted a radius of workspace, where you can build housing, trading posts, farms, wells, and other life-sustaining structures. Feed scrap into the workbench, and you’ll be able to break it down into the raw materials needed to make a water pump, a bed for people to rest in, or the walls needed to erect a new shack. It’s the most compelling new addition to Fallout because it’s Sims-like in its depth and execution: you can build houses to your exact specifications, and furnish them with sofas and lamps. Rig up some generators and bring power to your new little village. And then set up machine gun turrets to keep raiders away. Spending hours cleaning up areas and improving the living conditions of your survivors offers a real long-term alternative to questing, and also makes picking up all the junk Fallout so frequently offers an absolute necessity. So who are the people you’ll be helping? Your first meeting will be with The Minutemen, a struggling group that are basically a Boston-wide Neighbourhood Watch. They just want to get out there and do good, and by helping them you’ll begin to make a solid foothold on the places you can claim in the wasteland. 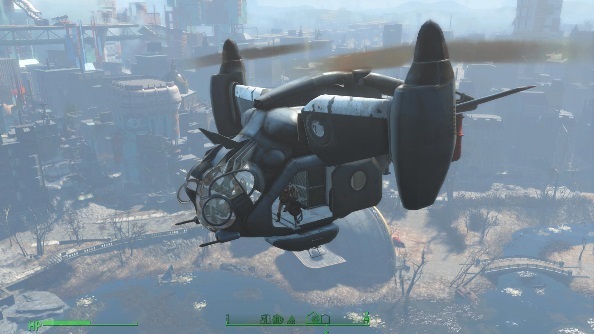 Naturally the Brotherhood of Steel are in town (watching over it from a humungous airship), and you’ll see them frequently swooping around in vertibirds, peppering targets below with minigun fire. Search deeper underground, and you’ll find the likes of the Railroad, a shadowy human rights group. None of the groups are portrayed as good or evil, and the karma system has been scrapped, so it’s all down to what you agree with and feel most comfortable pursuing. Their goals do conflict though, so as time goes by you’ll need to pick a side, and deal with the consequences of doing so. The one thing they all share in common though is a distrust of The Institute. It’s a name uttered in hushed tones with twisted lips; the entire population of Boston either hate it or fear it. Responsible for synthetics – robots who have now reached such stages of advancement that they’re indistinguishable from humans -The Institute has been kidnapping people and replacing them with synths, leading to high tensions and constant paranoia. Early on you’ll bear witness to a man being held at gunpoint as people shout and scream that he’s not real. 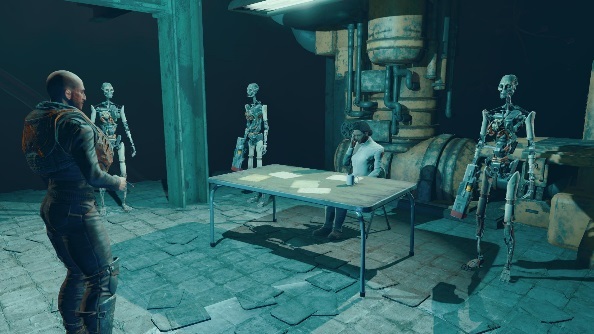 It’s oddly affecting, and sets the scene for what is the most unsettling Fallout story yet. On your travels you’ll bump into a variety of synths, mostly of older Terminator-style skeleton design with popping eyes and clenched jaws. They’re a welcome addition to a huge variety of enemies that still includes Super Mutants, raiders, rad scorpions, and the mighty deathclaws. Each and every one can be blown to smithereens with anything from nukes to teddy bears. The absolute biggest praise I can offer Fallout 4 is just how far combat has come since the clunky, barely functioning Fallout 3. You can – and almost certainly will – play the game as a shooter. Firing from the hip and through sights feels indistinguishable from a solid big-budget FPS, and is entirely preferable to the slow-motion VATS targeting system. 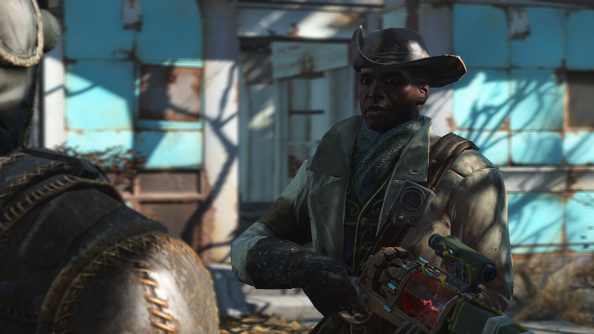 Fallout 4’s shooting isn’t just functional now, it’s exciting. Combat feels far more alive and dynamic. The camera shakes and blurs with explosions. Huge bosses can shoulder barge you out the way. Enemies dive and grab at you, and will duck out the way of your fire. Missions have a few scripted sections that help the game feel more cinematic. A battle through a high-rise facility, where soldiers constantly fired rockets into stair wells and turrets pounded lasers without pause, is like a sequence from the movie Dredd. It’s the most involving a Bethesda RPG has ever felt. 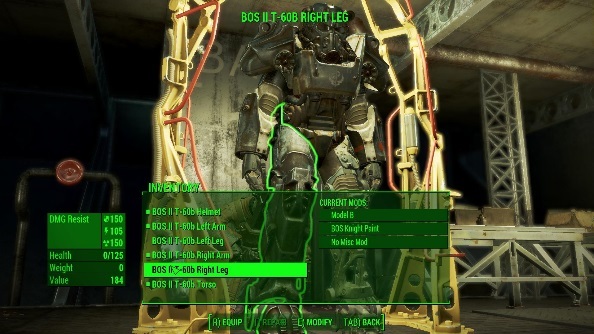 Notable in how Fallout 4’s combat works is armour. Power armour is an iconic part of the series, and it’s been completely rethought this time around. Rather than being a suit that you buy and wear like clothing, it’s now essentially a mech that you wear over your existing apparel. It’s made up of a frame that you affix armour plates to, and when you mount up you’ll be able to withstand much more damage, be immune to radiation, and carry more. To make the suit feel more mech-like in its design, not only does suiting up make you taller, stompier, and give you a new HUD, but power armour also requires fuel. Just walking around in it uses up fusion cells at a not-inconsiderable rate, so you constantly need to be on the lookout for batteries should you wish to be strapped in permanently. Your armour is very much your own, and can be painted with your prefered design to shout out your allegiance, and modified with a bunch of cool additions (including a jetpack!). Weapons modifications is where it gets really interesting though. The game has an uncountable amount of weapons that can be created from a selection of base designs. For example, a laser gun can become a laser rifle with a big stock and long barrel, or an automatic laser pistol by attaching a rotary muzzle and short grip to it. Every weapon can have its receiver, barrel, sights, and grips modified, allowing you to create a gun for every occasion and situation. Along with the outpost construction mechanics, it’s the depth of crafting that really makes Fallout’s scavenging gameplay so worthwhile. And like in Skyrim, there’s a crafting station for everything, from cooking to chemical production. Evidently there’s a lot to love here, and if you enjoyed the previous two games you’re going to have an absolute blast. 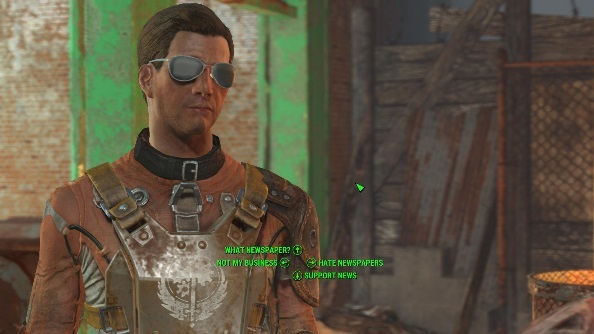 But there are a number of elements that hold Fallout 4 back from greatness. Most relate to overfamiliarity: beyond the new crafting, map, and story, the game itself doesn’t feel exactly advanced. Mission design is mostly identical to Fallout 3, with a lot of ‘go here and clear out the raiders’ objectives that do little to disguise the simplicity of the task. 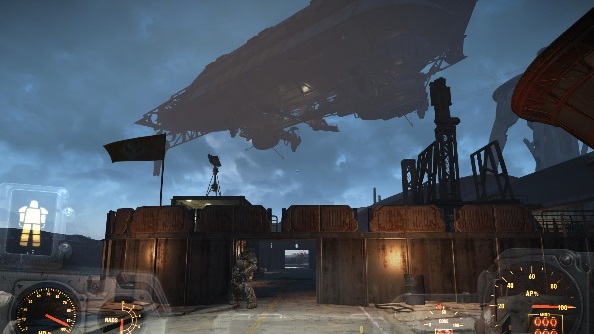 Compared to the likes of The Witcher 3, which has demonstrated how to do incredible mission design that weaves interesting tasks with exceptional narrative progression, Fallout 4 feels quite archaic. There’s nothing inherently wrong with partying like it’s 2008, but I expect more ambition from a studio like Bethesda. Talking of feeling like 2008, there’s also a lot of old-hat design when it comes to technology. The game still has to load at almost every main door in the game, which means once again you’ll be spending considerable time starting at loading screens. Streaming technology has come on in absolute leaps since both Fallout 3 and Skyrim, so it feels positively ancient to have to do this amount of waiting around just to pop in-and-out of a building. There’s even a slight load delay on using magnified scopes, as it fades the screen to black before showing your zoomed view, which makes the game feel both dated and awkward. Looking at the screenshots in this review, you’ll have noticed something fairly obvious: Fallout 4 isn’t a visual masterpiece. It certainly looks like a game made seven years after Fallout 3, but when Fallout 3 was released it already looked two years old. As such, textures range from fine to abysmal, with muddy colours and no definition. Human character models look like waxworks, while some non-humans look like paper mache monstrosities with bumps caused by jagged polygons and a blurry look thanks to the low resolution of the texture work. Thankfully the art direction leans towards being a little cartoony, so the flatter colours and simpler model work doesn’t look entirely out of place. The big saving grace though is the lighting, which is genuinely superb, with spectacular usage of volumetric effects. This overrides most of the problems and prevents the game looking ugly. Lighting can’t save the animation though, which feels as if it was motion-captured from the Thunderbirds marionettes. Characters move awkwardly, pausing between animations, and generally feeling like robots. This certainly doesn’t help to hold up the paranoia of everyone being potentially a synthetic. And then there’s still horrible hangovers from the previous generation of Bethesda design: when NPCs use a door, they still do that thing of reaching for the door handle, and then fading away. Why in 2015 can’t they just walk through the door? It’s truly illusion-shattering. There’s not quite as many bugs as we’re accustomed to in a Bethesda launch, but you’ll still see things going awry. Over the course of my journey, a companion got himself stuck on a roof and couldn’t get down. 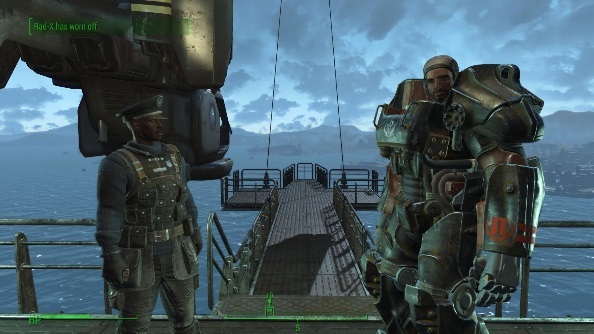 An NPC strapped on power armour, and the armour disappeared to reveal the character inside, now stretched like Mr. Fantastic to fit the proportions of the suit. During a notably difficult boss battle, a key character ran off, and when I went to hand in the quest I found him several miles away. I had to wait for him to walk back to the quest location before I could progress to the next objective. I’ve found nothing game-breaking, but there are occasional irritants. As for PC options, don’t get excited. The in-game menu offers barely anything beyond some basic customisation of HUD colour and crosshairs. Main graphic adjustments have to be made from the desktop launcher, which allows you to set resolution, antialiasing, anisotropic filtering, and graphical presets ranging from ‘low’ to ‘ultra’. Advanced options allow you to adjust quality on the typical range of textures, draw distances, and ambient occlusion. Its main crime is no FOV slider, which means playing at the typical console levels that force your guns and HUD to occupy a vast amount of screen space. 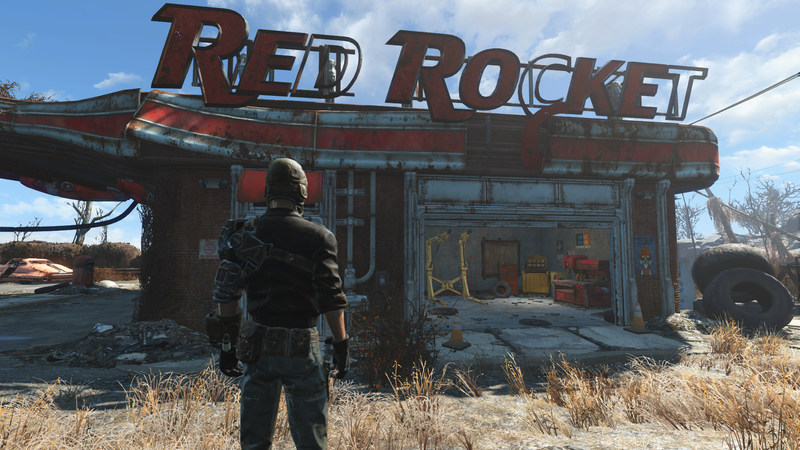 I reviewed Fallout 4 on a PC rig powered by an i7 3770k 3.5ghz CPU, 16GB RAM, and an ATI Radeon HD 7970. 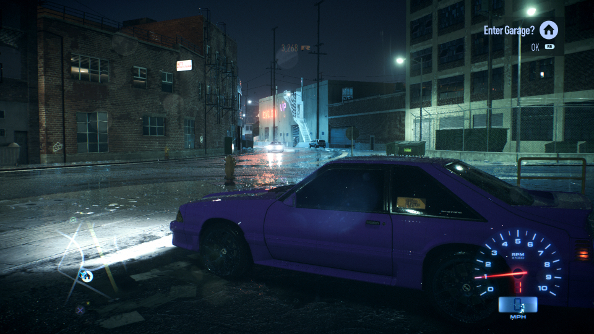 Performance at ultra settings is generally fine, with a framerate of 60 being very achievable. It’s not a stable framerate though, and will bounce and vary. Other than a single instance of it dropping to 15fps, I generally found it mostly held between 45 and 60, and never felt unplayable or too intrusive. Ultra textures are somewhat better than the other settings, but don’t expect to be blown away. There’s also frequent and very noticeable texture pop-in. The lower-than-anticipated graphical quality and sometimes iffy performance is a bit of a blemish on the experience, but Fallout 3 suffered similarly and still achieved greatness. And while Fallout 4 hits all of its predecessor’s high notes and even a few of its own, it’s because of how precisely it mirrors Fallout 3 that causes it to miss out on being a new legend in its own right. New Vegas feels like it will constantly play second fiddle to Fallout 3 because of how similar they are (it could even be considered a standalone expansion). Fallout 4 isn’t quite like that, but feels more like the kind of sequel that would be produced two years later rather than seven. It’s the wait that’s arguably damaged it the most: expectations may have been built too high. But while the overfamiliar flavour may mean Fallout 4 doesn’t quite stand tall, it does mean you can guarantee what you’re getting and that’s a damn fine game. Its combat is the best Bethesda have ever produced: involving, kinetic, and exciting. The collection of weapons at your disposal are destructive and inventive, and strapping on power armour makes you feel like an absolute killing machine. Plenty of the missions are rote, but the narrative is the best Fallout has seen, and the factions you interact with seem more complex and multi-layered than ever. There’s enough choice to make at least two playthroughs worth it, meaning this is a game with over 100 guaranteed hours of compelling play in it. With a menu like that, chances are you won’t care about the blemishes and deja-vu. You’ve been happily drinking classic Nuka-Cola for years, so why would you want a changed recipe now?